Strip cut paper shredding machine for home or office use. 4mm shred width. LED control display. Mounted on castors. German International manufacturer. Up to 12 sheet capacity. Port hole into bin to check level of the 21 litre bin. 15 minute duty cycle. 10 year cutter warranty. 2 year machine warranty. Also shreds credit cards. intimus 21 CP4 Shredder. 4 x 39 mm cross cut. DIN 66399 Level 4. Very quiet operation. Automatic start / stop. Manual reverse. Overheat and overload protection. With casters for easy movement. 8 min run time. Equipped with jam free roller to avoid paper jams. One slot for Paper, CDs and ID Cards. 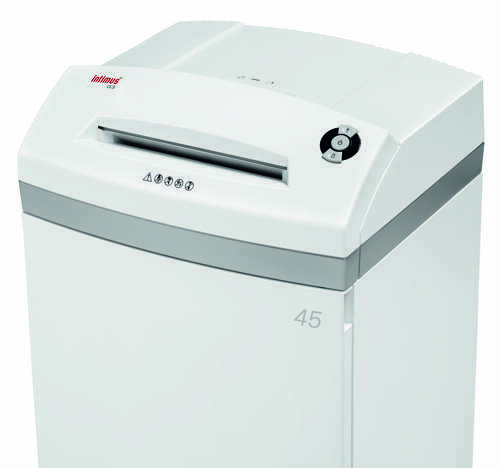 Cross cut paper shredding machine for home or office use. 3.8 x 48 mm shred size. International German manufacturer. 8 sheet capacity. DIN 66399 Security Level P-3. LED control display. 10 year cutter warranty. 2 year machine warranty. Port hole into bin to check level of the 21 litre bin. 15 minute duty cycle. Shreds credit cards. 4mm Strip Cut paper shredding machine. Up to 16 Sheet Capability. 31 litre bin. LED control display. Also shreds credit cards and CDs. Dustproof collection bin with inspection window. Easy emptying removable bin. Easy mobility on 4 castors - 2 lockable. 10 year cutter warranty. 2 year machine warranty. 3.8 x 48mm cross cut deskside office shredding machine. Up to 12 sheet capacity. 31 litre bin. Shreds paper, credit cards and CDs. Dustproof collecting bin with inspection window. LED control display. Easy emptying removable bin. Easy mobility on 4 castors - 2 lockable. Shreds paper clips, CD/DVD and plastic cards. 10 year cutter warranty. 2 year machine warranty. intimus 29 CP4 4 x 39mm Cross Cut Shredding Machine. Automatic start / stop / reverse. Overheat and overload protection. With casters for easy movement. Equipped with jam free roller to avoid paper jam. Bin full indication via red LED. 2 year machine warranty. 2 year cutter warranty. intimus 34 CP7 High Security 1 x 5 mm cross cut shredding machine. Automatic start / stop / reverse. Overheat and overload protection. with casters for easy movement. Equipped with jam free roller to avoid paper jams. bin full indication via red LED. 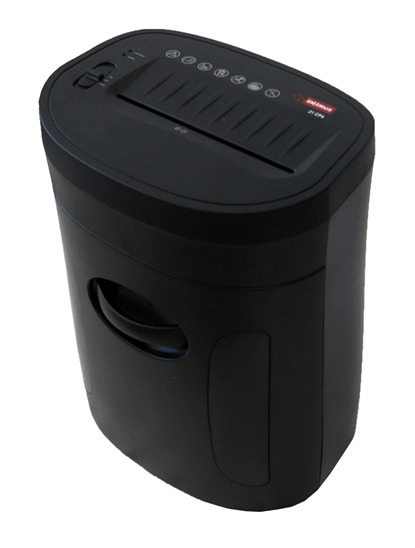 The multi functional 3.8 x 30mm cross cut shredding machine destroys paper, cds, floppy disks, and credit cards. Integrated Auto Reverse Function for the easy removal of jammed paper. User friendly thanks to patented i-control® function controls. these include 2x2 cut & collect: separate cutting blocks for shredding digital media with separate catchbasket. Silentec®: innovative sound dampening feature and EcoLogic energy management system. 30 year cutter warranty. 2 year machine warranty. 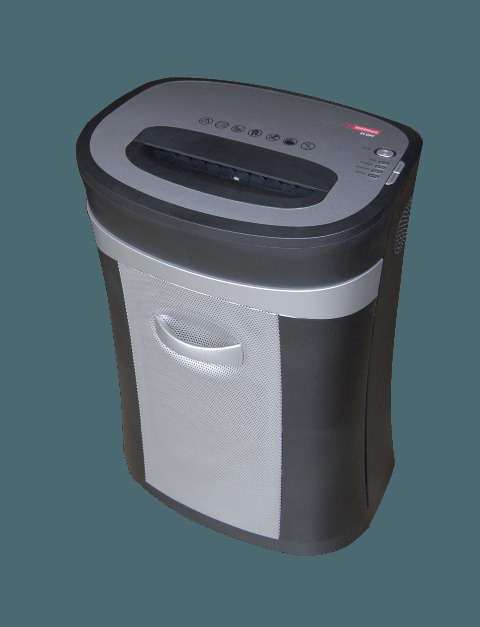 The multi functional shredding machine destroys paper, cds, floppy disks, and credit cards. shreds to 1.9 x 15mm DIN66399 Level 5. 2 year machine warranty. 30 year cutter warranty. Integrated Auto Reverse Function for easy removal of jammed paper. User friendly thanks to i-control® function control. 2x2 cut & collect: separate cutting blocks for digital media includes a catchbasket for shredded digital media. Silentec®: is an innovative sound dampening concept and EcoLogic for real energy efficiency. CPNI & DIPCOG approved. 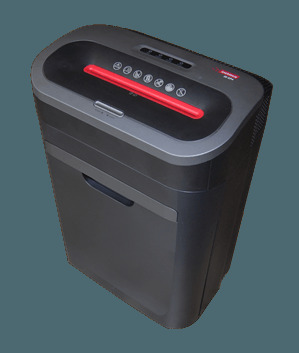 This High Security 0.8 x 4.5mm Cross Cut shredding machine destroys paper only. It has integrated Auto Reverse Function for easy removal of overloaded paper. Lights signal stand-by, basket full, door open and paper jam. User friendly thanks to i-control® function control. Silentec®: innovative sound dampening principle and EcoLogic for more energy efficiency. CPNI DIPCOG approved. Warranty 2 years on machine and cutters.45 litre pull out collection bin.